A quick introduction to the signs for family members including: mother, father, sister, brother, grandmother, grandfather, uncle, aunt, and cousin. Welcome to Baby Sign Language dot com. This is our video tutorial on family members. I am joined today by my daughter who is crawling so she may or may not stick around. First of all, the signs for family member, all male signs are done above the nose. All female signs are done below the nose. Secondly, you can substitute the spoken word you use for the proper name if you prefer. So you can use whatever term you like for grandmother as you sign grandma. Likewise you can use the proper name for brother when you sign brother. Let’s get started. The sign for mom and dad are the same sign, just in a different position on the face. So we do momma. Just take you r five hand and tap on your chin. Mommy, mommy. Daddy is the same sign just higher up on your forehead. Daddy, daddy. Grandma and grandpa are very similar. Just instead of tapping your chin for mommy you go away for grandma. So grandma. You start at your chin then you go out twice. Then grandpa. Grandma. Grandpa. Ok. For uncle, this is the ASL letter U and you just do a little circle up at your forehead. Uncle. Uncle. And the sign for aunt. The ASL A is a fist like this with your thumb on the side and circle down at the jaw area. Aunt. So Uncle. Aunt. And again if you want to substitute the proper name that is ok. So if you have an Aunt Lauren, then you can do this for Aunt Lauren. Now brother and sister are basically the same sign. Both of them you are going to do two L hands. And your non-dominant hand is going to be stationary at about chest level. How for sister you start at your chin level and tap down. Sister. Sister. Brother starts up at your forehead. Brother. Brother. Sister. Brother. Ok. Finally we will do cousin. Cousin is just your big C hand. If you are just doing a cousin in general you can just wave it around here. A female cousin is down around the jaw and a male cousin is up here. We hope you have enjoyed learning all the sign, have fun signing! My daughter has mastered two signs, those for dog and milk. It is not uncommon for babies to apply those early signs to a wide variety of things. For example, the baby will sign milk when she wants to nurse, but also when she eats, is sleepy, or wants me to hold her. This is not incorrect usage when you consider what milk means to her; it is food, cuddling, mother, and a sleepy-time activity. Similarly, dog also means excitement and play time for her. How do you help baby to move beyond those 1st few signs in a positive way? Never discourage signing when a baby uses a sign inaccurately. Signing, even when somewhat inaccurate, is an amazing gesture of communication that requires advanced physical and psychological skills. Remember to keep signing fun and positive, and to enjoy the quirky ways in which your baby applies signs. Perhaps we are living in a world of Dogs and Milk after all. Is My Baby Really Signing? Okay moms, do you remember those early months of pregnancy? Before your babies starting throwing champion punches in utero, you probably went through a stage of wondering whether or not you were feeling the baby’s movement. I remember feeling a fluttery sensation and wondering whether I was feeling my daughter’s first movements or just had indigestion. Similarly, before you confidently recognize baby’s first sign, you will pass through a phase when you hope that baby’s ambiguous gestures are signs, but you suspect they are just the flailing motions of an excited baby with minimal muscle control. How can you tell whether your baby is signing or flailing? Honestly, you can’t. Just like those early pregnancy flutters, you can’t be sure until the movements progress and become unmistakable. Go ahead, though, and give your baby the benefit of the doubt. Assume that he or she really is signing. Get excited, pull out the video recorder, call the grandparents, and post on Facebook that your baby is a signing prodigy. Baby Sign Language is Fun! So revel in those early moments of sign recognition, even if it turns out that your baby is just flailing. And guess what? Even if baby was not signing, when you do fuss over baby and encourage baby it will turn into real signing! The Jack and Jill nursery rhyme incorporating some baby sign language. Nursery rhymes are a great way to practice signs with infants who already have the basics down. Babies just love any kind of repetitive game and it is a great way for them to build their confidence. You can also sign along to a picture book or the story. Enjoy! Hi Welcome to Baby Sign Language dot com. I am about to teach you the signs for the nursery rhyme Jack and Jill. This is a fun little way you can do songs with your baby. It’s easy and incorporates some very basic signs. I am joined here today by my eight month old daughter who seems to be minimally interested in learning these signs here today. So she is just here for entertainment. First of all the signs that we are going to use for Jack and Jill are the signs for boy and girl so we are going to use boy for Jack and girl for Jill. So Jack and Jill went up the hill. So you just do you little legs and go up an invisible hill. To fetch a pail of water. Fetch, it’s like you are grabbing a broomstick with both hands. Pail, it’s like you are carrying a bucket. Water, make your W hand and tap it on your chin. So let’s do it again. Jack and Jill went up the hill to fetch a pail of water. Jack fell down. So it’s like he is standing and goes legs up. And broke his crown. This is the sign for hurt and when you do it up by your head it means you hurt your head. So broke his crown. And Jill came tumbling after. So she is standing on the hill and comes down. So again from the beginning. Jack and Jill went up the hill to fetch a pail of water. Jack fell down and broke his crown and Jill came tumbling after. So there you have it. 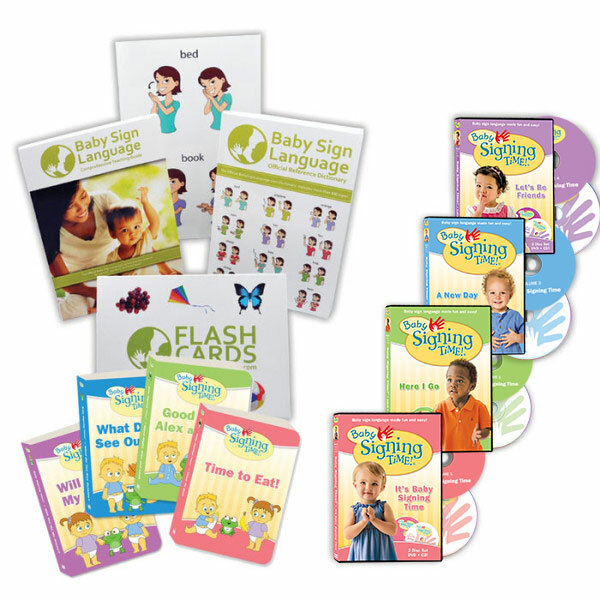 A fun way to incorporate baby sign language with your child. I think it’s easy to remember, so have fun with it. And I also wanted to let all of you know that we have created a Baby Sign Language Facebook page and are hoping to build an audience there. 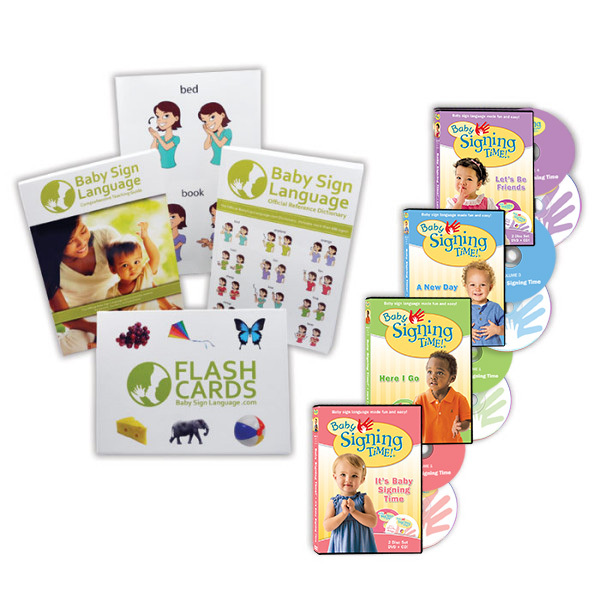 You can access that through our website BabySignLanguage.com. And stay tuned because in coming months we will do some giveaways exclusively through the Facebook page and you don’t want to miss out on that. The vast majority of parents are very familiar with the small jars of purees known as “baby food.” As my daughter approached 6 months, the age at which I began offering solids, I began to contemplate this whole baby food issue. What did babies eat before supermarkets started stocking an entire aisle of these little jars? 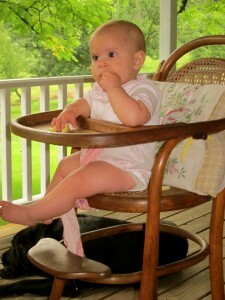 Do babies have to eat pureed food? And do babies have to be spoon fed? My own mother skipped the pureed foods and spoon feeding, so I suspected that this was a viable option. After doing some research I came upon the idea of “Baby-Led Weaning.” In this case, weaning refers to starting solids, not to reducing bottle or breast feedings (I think it is a British use of the term, but don’t quote me on that). The basic premise of baby-led weaning is that from 6 months of age, baby is offered healthful table foods and allowed to self-feed. If you are interested in this method of feeding, here is additional information on the Baby-led Weaning website. My daughter loved feeding herself from the moment I allowed her to grab food off of my plate. We started with well-cooked, soft produce such as zucchini, potatoes, and baked apples. Soon she was eating a wide variety of foods. I have never prepared any foods specifically for her to eat; she eats what my husband and I eat. And I have never spoon fed her. She loves to feed herself. Is it messy? Very! Fortunately we have a dog who is happy to assist with clean-up. Do not be afraid of a little mealtime mess. Have a stash of bibs and a damp rag for wiping hands and faces (and tummies, toes, neck creases, ears…). The messy stage does not last forever, I promise. And finally, I believe that self-feeding improved my daughter’s manual dexterity. She mastered her pincer grasp (thumb and index finger) very quickly after she started solids. By 7 months of age she could pick up a single grain of rice or a pea using her pincer grasp. I have no scientific data to prove it, but I confident that her fine motor skills have benefited from this style of eating. So don’t assume that you have to feed your baby pureed foods with a spoon. That is a perfectly fine option, of course, but there are plenty of other styles of feeding that may hold greater appeal for you and your baby. Why Does Your Baby Smile? Watching a baby smile is a joyful experience. Nothing is sweeter than seeing that first hint of a smile and watching it develop into first a little grin, then a whole face smile, and then uncontrollable giggles. Most babies start smiling toward the end of the first ten weeks. As soon as that first hint of a smile appears, we parents start doing all kinds of silly things to earn another smile. My husband and I happily spent hours jiggling our daughter in just the right way, or singing ridiculous songs just to see a little smile. Duchenne Smiles – when baby smiles with raised cheeks and pinched eye, it signals a more focused thinking smile, like when baby is smiling at something in particular. Open Mouth Smiles – when baby smiles with her mouth wide open, she is being playful. This is a good signal from baby that you should move in for a little tickle time! Anticipatory Smiles – a more advanced smile, when baby smiles at some object then turns to you, baby is trying to get you to take a look at what they were smiling at. Baby is trying to share their joy in the object. Our baby does this a lot with the dog, she smiles at the dog, then turns and smiles at us in an effort to share the excitement. So there’s some research to confirm what all parents know… a baby’s smile is very special indeed! This is the first post for the baby sign language blog. I hope this site grows to be a great resource for everyone that is interested in teaching their baby how to sign. 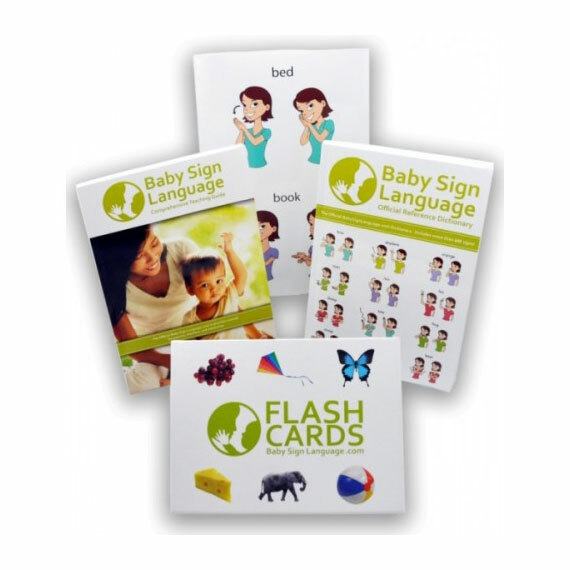 We have put together a collection of resources including a baby sign language dictionary, flash cards, or a baby sign language chart. I put together these materials teaching my daughter signing. I found these really useful teaching her how to sign and I hope you find them useful as well. If you have any questions or suggestions on how to improve the site, please email them or use the comments section below.